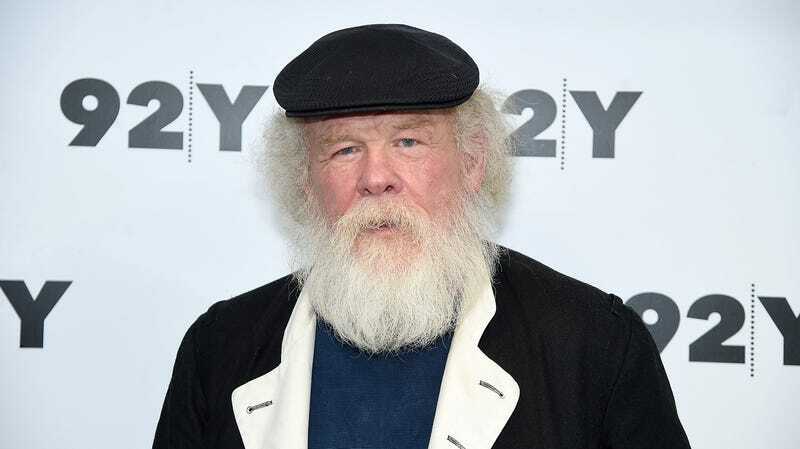 In what we have to assume was an effort to ensure that the set of The Mandalorian—Jon Favreau’s new streaming-only attempt to add a little bounty hunting Western grit to the shiny Star Wars universe—will now smell authentically like a bag of old leather that a sick dog has been sleeping on, we’re happy to report that Nick Nolte has just been cast in the Disney+ series. As with everything about The Mandalorian, details on Nolte’s role are being kept completely under wraps, but we assume he’ll be playing someone, you know…grizzled, albeit in a sort of fun space cowboy kind of way. (Although we have to admit that we’re also very into the idea of Nic Nolto, a hard-living, tough-as-nails Jedi master who only uses The Force to levitate his pack of unfiltered smokes into his waiting, tar-stained hand.) The show—which also stars Pedro Pascal and Gina Carano—is expected to be a major part of Disney’s push to lure people in to its new Disney+ streaming service, and casting a heavy hitter like Nolte (who, for all our gentle teasing, has remained a fascinatingly grumpy figure in recent TV projects like Graves and Gracepoint) seems like another point in the “Yep, we’re throwing a whole bunch of money at this thing to make it as alluring as possible” column.